"Helping you to acquire real engineering skills." The training platform specialises in Linux and cloud solutions. Courses include a unique mix of video lessons and practice exercises that help users to master the subject. The most significant advantage of the platform is helping you to acquire real engineering skills. They encourage you to think critically and explain why specific techniques and actions are more beneficial than others. You are provided with an excellent laboratory equipped with software such as Azure, Google Cloud Platform, where you could learn by performing actions on real environments and facing real issues. Sadly, the instructors don't respond promptly, so often the community advise and answer my questions faster. Also, the mobile application could be improved, as it sometimes doesn't work correctly. The certificates are useless and seem to be just a trophy. I highly recommend the platform, as you can acquire real engineering skills and useful techniques. Also, the community is helpful, and you respond quickly. Linux Academy taught me how to use Azure, and thanks to their laboratories I acquired many practical skills and got to know some practice solutions. "Greater area and capacities for learning." I see this platform an excellent advantage for learning tools for communication and technology that goes from management to other add-on platforms in the clouds like Google APIs, it gives you the opportunity to learn when you can and in the comfort of your home and learn what you need or what you want. The visualization of the courses becomes somewhat annoying since they must be previously loaded and if you have internet interruptions it will not flow correctly. Teachers are a love, always try from the beginning to the end of the course, you have a message tray in which you can write if you have some complications and they will surely answer you as soon as possible. Learning is one of the most effective methods for the development of any area, many do not have time to go to an institution to see class and develop their knowledge through online courses and can learn what you want. 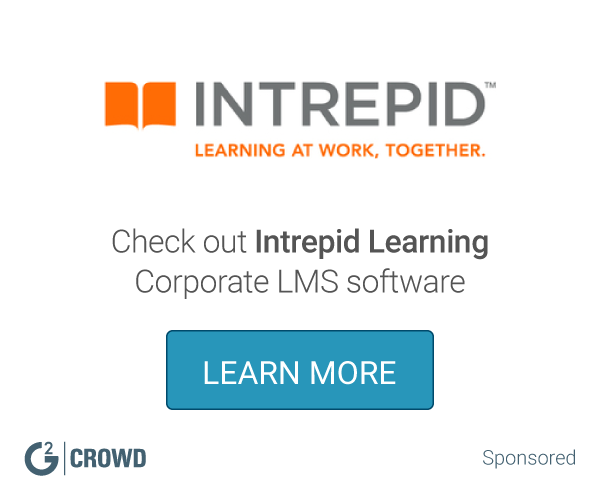 "Learn more easily with exclusive access to learning topics." Every day I imply this platform, I love the teachers, the topics in which they deal and how they develop the content in a didactic way for the effective interaction of learning, always keeping you abreast of new methods and technologies so that you can learn and take advantage of maximum your time. You do not define a method of strategies or study methods for what you need, they do not guide you the learning route you must have to master a complete topic. There is a constant advance in technology and it is always good to keep up. More learning and ease of development with community of very pleasant surroundings, with this we achieve greater technological advances. I picked up a few information from it doing my LPIC two a long time back, but I found the in general quality (time has passed so ideally now not the case) kinda missing, I moreover came up against one sentence structure error. I found the CBT chunks recordings on the same theme were phenomenal. I subscribed with them to memorize Linux (I'd not utilized it more than changing registries some time recently) back in January 2015. I examined off and on (more off than on unfortunately) and overseen to memorize sufficient to pass the RHCSA in May of 2016. I was at that point enlisted by them in late June of 2016 to work within the Bolster Dept and I still work there nowadays. I can tell you there may be other preparing stages that have more substance, but no one has more energetic individuals working to progress. Everybody takes this truly and are here to help! Courses available on the website. For a monthly fee, every single course is available for signup. Thats amazing. I mainly used this product for Amazon AWS solutions architect certification training. the course was very effective in helping me getting certified in my very first attempt. The other aspect of this product is the free mobile IOS app for download that helps me complete my courses on time on the go. The app also allows to download videos for offline preparation. This is extremely helpful while traveling in the subway. The website is also very intuitive and easy to use. I never once had to use the help option or contact a customer representative. High monthly few did put me off after a while. The high recurring cost monthly did force me to pull the plug during the months I was not using the product. I would have continued paying monthly subscription if it was much lesser. The ability to do courses with smaller duration would have been helpful without such a high fee. Great product but high monthly cost. If there are a lot of things to learn in a month then it is most ideal as all the courses are open to you. Taken course to enhance my technical skills at my work. As a DevOps engineer the skills that I have gathered are put to solving issues in my day to day tasks. It is amazing the way in the presentation of all courses and topics of interest, I love this incredible platform where I can learn everything related to programming in Linux and all its advantages. The methods of payment are, however, the promotions are excellent. The best thing to learn with this platform is to obtain the materials and all the support you need if you want to venture into your own studies. Greater control in the area of ​​the terminals and the time to use or manage a server that has been too useful for our community. The subscription model is nice since it provides access to all available courses. If some courses have particular points on which you want to improve upon, but you don't want to take the entire course, that's incredibly valuable. I also appreciate that there's a wide variety of courses, rather than a narrow focus on cloud services like A Cloud Guru or Cloud Academy. With regards to cloud, however, it is nice that Linux Academy provides access to real AWS accounts and other infrastructure. 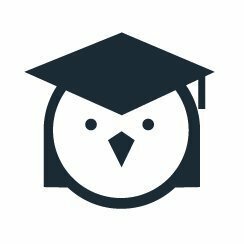 Linux Academy could provide additional quizzes and practice exams. The mobile app could also use some work, although it has significantly improved. Because it's a subscription service, ensure that you have the time to dedicate to focusing on courses. Otherwise, a pay per course model may be better for you. We are setting up a public-private cloud solution internally. I did not originally come out of the Linux world, so this set of courses has been immensely valuable in improving my skill set to help perform the forthcoming migration. "The best Linux Academy "
The courses begin with an introduction to the Linux server and from there, everything necessary to learn this powerful operating system is built. there is nothing that I do not like since it is a website that offers interactive video courses, step by step, which will take a beginner from free software to a professional during the next months. The first month is free and then you only pay $ 9.99 per month, which is much cheaper than any course of this style! You can organize the server after a lesson, and then delete the file system. It does not take more than two clicks to remove the server and rebuild one from scratch. The ideal site to learn everything related to Linux. - Getting certified in cloud technologies offers a great advantage for consultancies and Linux Academy is a great tool to achieve that. "Best learning platform for me Where I studied GCP and very affordable pricing"
I love the way they serve. They fulfill very needs of mine at high rating. They always know what I want. And learning paths are awesome 😊.. Attractive videos with professionals hands on sessions. I love everything what they provide. Nothing ia to be disliked. Everything is awesome here. You won't regret by choosing this.Just a best quality things which you can find it useful. I will recommend it to everyone who want their level best on cloud computing. We here at my company learn about cloud computing. With Linux academy we learnt and followed their tutorial. We are very happy to have it and now we are progressing a lot.
" platform that offers services of linux courses, google among so many"
the dynamics of the courses themselves, the organization and ease of tools. The costs do not seem so accessible to people who are starting, and the free version is very limited. if they require access to quality courses, with a good pedagogy remotely, optimizing their time and with advanced certification acquire the product, accessing the plan that best suits your income. To provide advice to clients who want to learn and be in trend with the innovations of the Internet. "Good training for the money"
Linux Academy has a wide variety of classes that aren't overly long. It is good for when you need to learn something quick. Sometimes open source software changes so quickly that the classes can get out of date. If your company has a need for a wide variety of open source training Linux Academy is very useful. Linux Academy allows our staff to self-train on what they need. "Best way to learn "
I love the ability to study Linux programs and have training for certifications. Sometimes the learning can be a bit dull but overall it’s still good. Learning different Linux platforms helps me assist my customers better. "Lots of promise and many topics"
I was able to pick things I was interested in from the lessons and go to only those parts. It also includes the cloud servers you need to take the classes. I had a hard time getting the customer service to setup my teams account properly. It took months to get it sorted out. We wanted to get diverse training for our team members. Wide variety of courses available. Was able to get AWS certification using courses at my own pace. I honestly have no dislikes. This really helped me move up in my career and the classes were easy to follow. Able to help optimize existing AWS implementations and build new ones with automation. "Great training and migration of skills platform"
Nothing that I can currently see that would need changing. Linux Academy is being used to train people in program usage. * We monitor all Linux Academy reviews to prevent fraudulent reviews and keep review quality high. We do not post reviews by company employees or direct competitors. Validated reviews require the user to submit a screenshot of the product containing their user ID, in order to verify a user is an actual user of the product. Hi there! Are you looking to implement a solution like Linux Academy?